A major item from this week’s federal budget will further reduce, rather than enhance, affordability for first-time homebuyers. First-time buyers who think the incentive raises their qualifying power are in for a surprise. According to Ratehub.ca, under current qualifying criteria, including the stress test, buyers qualify for homes that are 4.5-4.7% their household income. By using the First-Time Home Buyer Incentive, they would reduce their qualification amount by 15%. 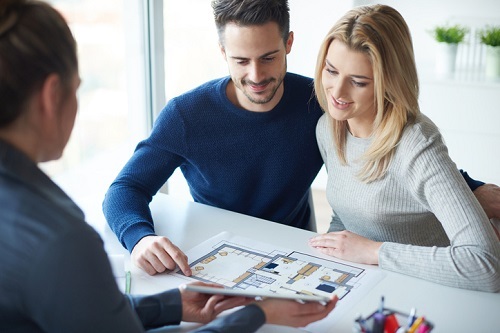 According to calculations provided by Ratehub.ca, a household with $100,000 of income that puts a 5% down payment, qualifies for a $479,888 home. This leaves a mortgage amount of $474,129 after down payment and the CMHC insurance premium. The household qualifies for a mortgage of 4.74 times their income. If the same household elected to participate in the First-Time Home Buyer Incentive their maximum purchase price drops to $404,858, because this is the maximum they can afford while keeping the total between their mortgage and the government incentive below 4.0 times their income ($400,000). That might not be the only problem with the First-Time Home Buyer Incentive. A similar program launched by British Columbia’s Liberal government was axed last March by the NDP after it was revealed that only around 3,000 homebuyers used it—far fewer than the expected 42,000. “Given the evidence provided through one of the largest provinces in the country trying a program that didn’t work, I’m not sure what the federal government thinks will be different,” said Laird, adding that housing measures in the budget were spare on details. CMHC may lose two ways. Too few people use the program and CMHC looks silly or too many people use the program and CMHC owns 5%-10% of 1000s of homes across Canada. If the program works in the same fashion as described in the book "House of Debt" (a book Evan Siddell promotes), CMHC could see its capital devastated by a 20% or even 10% housing correction. Even a 1% housing correction would negatively affect CMHC. Are you really amazed it has not been thought through? The policies over the past three years shows their lack of understanding. I doubt this program will be utilized as in the case of BC - it is simply a political soundbite to get votes from the second largest demographic of voters. Agreed. This is simply a soundbite to buy votes.